Leave it to the Japanese to turn something as simple as the pickle into an art form. I suppose they have had a few centuries to master not only the taste but the presentation as well. I had to do a little more research into this since I wasn’t sure my standard pickling book would lead me in the right direction. There are so many different varieties of Tsukemono that you can make that involve different methods, supplies and ingredients, so I wanted to make sure to make the right thing. Luckily my Tokyo-based friend, Go, sent me a great link to a guide for Nukamiso (in English). 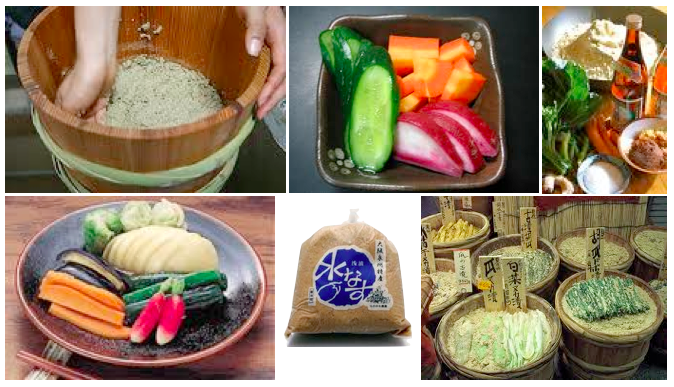 Nukamiso is a rice brand based mash in which you ferment just about any kind of small vegetable. As many families have pickling recipes that get passed down through the generations, the nukamiso fermentation mash itself is passed down and around (much in the same way as bread starter). As you can read in the guide, the author has 4 different kinds as part of his that are 25-50 years old from Kyoto and Tokyo! There were a few challenges with taking on making a nukamiso mash. I would have loved to have gotten a bit of starter from someone but in asking around at different restaurants, it doesn’t seem to be a common practice. I also was unable to obtain the traditional cedar container (pictured above), so instead had to use a Le Creuset pot. This isn’t ideal because it doesn’t breathe. I’m hoping when I finally get to Japan I’ll be able to find one there! I guess the FDA is not a big fan of them here. Finding the ingredients proved a lot easier. I mad another trip back to the Pacific Mercantile in Denver and Jolie patiently helped me pick out all of the right ingredients (all of which they had). It will take a few weeks for the nukamiso to be ready for fermenting, but it will be nice to have around, especially in the Summer and Fall with garden vegetables. In making this I also found a good book on Tsukemono that has a nukamiso recipe as well as other great Japanese pickle recipes. The dill pickle is probably still my favorite and I lean a more towards the sour, vinegar variety than the salt brined deli ones. I’ve tried out many of the delis in Boulder and haven’t found one that lives up to a NY style deli, but I did make a trip into Denver to Deli Tech today which gets all of its key ingredients from the Carnegie Deli in NYC. It was a bit of a drive but worth a trip. The atmosphere was more 80s than traditional but the food was pretty good. BRING TO BOIL. PUT SPRIG OF DILL IN BOTTOM OF QUART JAR. FILL WITH CUCUMBERS. POUR BRINE OVER CUCUMBERS AND LET STAND FOR 10 OR 15 MINUTES. POUR OFF AND REHEAT. ADD ANOTHER SPRING OF DILL ON TOP OF QT. CAN. POUR BOILING BRINE OVER PICKLES AND SEAL. 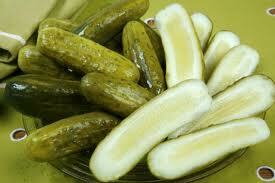 A FEW HINTS….MAKE SURE YOU USE SMALL PICKLING CUCUMBERS ABOUT 3 INCHES LONG. 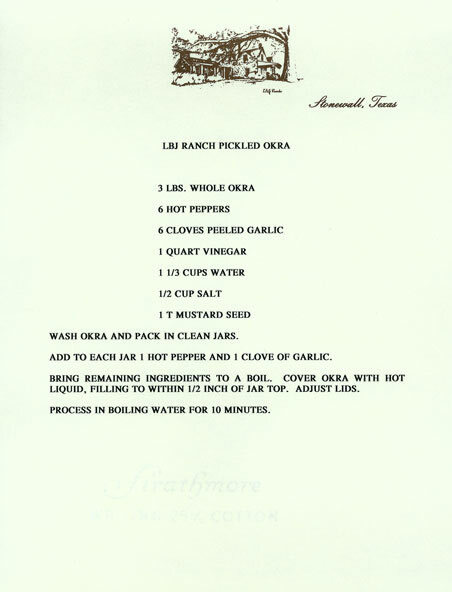 THE REASON WE POUR THE BRINE OVER PICKLES TWICE IS BECAUSE TO MAKE SURE THE PICKLES ARE HOT FOR BETTER SEALING. LIDS MUST BE HEATED IN BOILING WATER FOR 5 MINUTES BEFORE PLACING ON JAR. * i am also putting a jalapeno pepper in a couple of the jars for some heat. I’m not sure any region in the country can claim comfort food like the South can. It’s where I spent my formative years and it’s probably responsible for why I’ll never give up bacon and why my eyes sometimes glaze over when people talk about dieting. I wouldn’t say there have been a lot of things other regions have necessarily adopted from the South, but I’ve been happy to see that the fried pickle seems to be making its rounds in restaurants around the country. In fact, I’ll be having some tonight over at Oak, a great new restaurant that recently opened in Boulder. As I like to do with this blog, I thought I’d look into the origin of the fried pickle. According to wikipedia it was popularized by Bernell “Fatman” Austin at the Duchess Drive-In located in Atkins, Arkansas. That sounds about right to me! 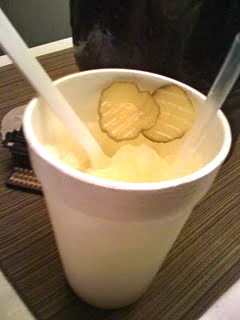 update: Adair has just passed along on FB that in Texas they also have pickled snow cones! I can’t imagine what that must taste like but maybe in the Summer they’re pretty good. Will have to try it out! Ok, so this is one area I was going to cheat on the local rule of my blog as I was supposed to be in LA for work, but my meeting got moved, so Boulder it is! What’s the saying? Cheaters never win, winners never cheat? I did find a couple of good resources locally for Asian food supplies. In Denver, the Pacific Mercantile turned out to have what I needed and for produce I found fresh Napa cabbage at the Sunflower market (as well as all of my other pickling needs). 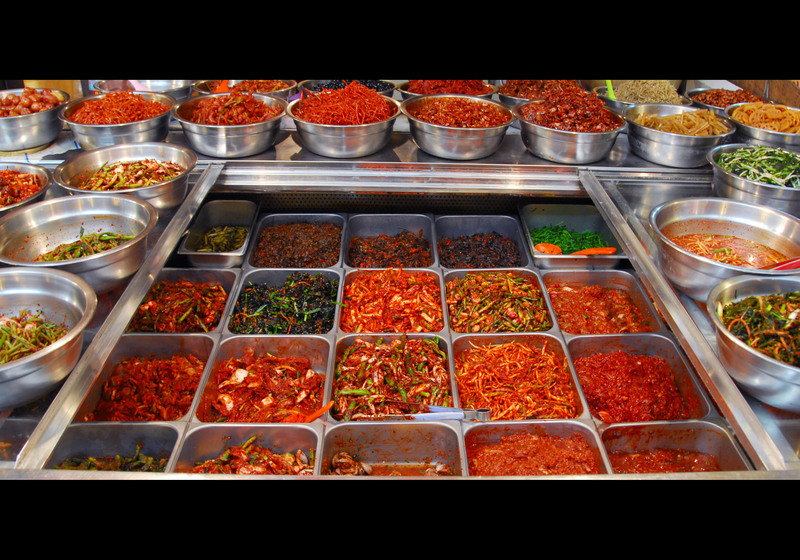 Unlike the lackluster campaign behind sauerkraut, the Koreans know a good thing when they have it and treat kimchi like a national treasure. In Seoul they even have a museum dedicated to kimchi to educate visitors about the almost 200 different varieties, from its history to the fermentation process to models of all the different varieties. They’re so serious about it, that in 1996, they lobbied for an international standard that protected traditional kimchi, the crux of it being that the Japanese version wasn’t really kimchi and therefore shouldn’t be allowed to be called kimchi. It’s also worth mentioning its health benefits. 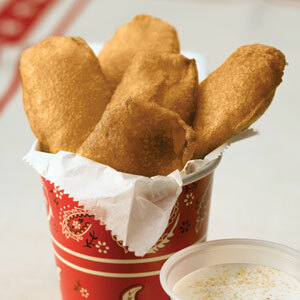 Health magazine named it one of the 5 healthiest foods. I’m thinking seriously about eating this everyday. It is a high source of fiber, vitamins A, B and C, “healthy bacteria” called lactobacilli that aid in digestion. Many have done studies that indicate it may even prevent the growth of cancer. 1) dissolve salt in the water. put the cabbage into a large bowl, crock or nonreactive pot and pour the brine over it. weight the cabbage with a plate. let the bowl stand at room temperature for 12 hours. 2) drain the cabbage, reserving the brine. mix the cabbage with the remaining ingredients, including the remaining 1 t. salt. pack the mixture into a 2 quart jar. cover the cabbage with some of the reserved brine, push a food grade plastic bag into the mouth of the jar and pour the remaining brine into the bag. seal the bag. 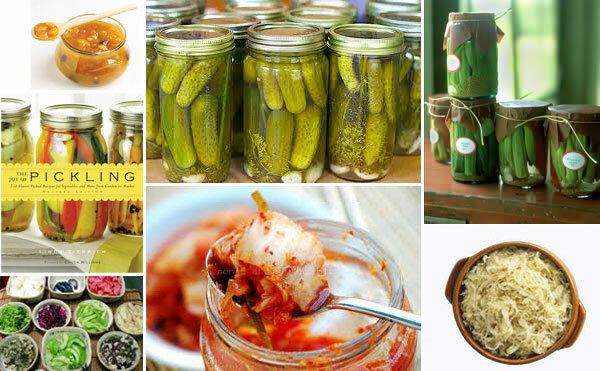 let the kimchi ferment in a cool place (no higher than 68 degrees F) for 3 to 6 days, until it’s as sour as you like. 3) remove the brine bag and cap the jar tightly. store in fridge where it will keep for months. update: my friend Holly has let me know there’s a great Korean restaurant in Aurora that we’re going to check out thurs. Korean BBQ SAE Jong Kwan. Apparently Aurora is the place for Korean food. I mentioned in the last post that sauerkraut has been a New Year’s day tradition from my Mom’s side of the family. I’m going to learn how to make the real stuff and hopefully keep the tradition going, maybe even improving upon it with fresh ingredients. 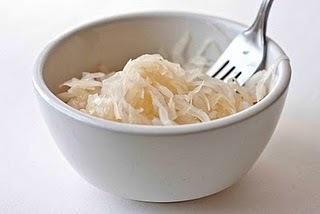 Sauerkraut, German for “sour herb” or “sour cabbage” is actually a pretty nutritional food as a result of the fermentation it undergoes. It’s considered to be a great boost to the immune system and was once used by German sailors to prevent scurvy. British sailors often used lime, hence the origin of the nicknames “Limey” and “Kraut” to distinguish the two. It is thought by many that it is also has cancer fighting properties, is good for digestion and even fights off the avian flu! During World War I in the US, American sauerkraut makers feared the American public would reject a German name, so many labeled their product as “Liberty Cabbage” (even lamer than “Freedom Fries”). Kraut became a derogatory word. That environment probably had a lot to do with the fact my grandmother never knew German beyond the nursery rhymes she’d sing to us. My Mom can even recall being teased as a kid in Pennsylvania for having a German last name. I’m glad at least some of the food traditions survived. I wish I had a family recipe that my great grandparents might have made at one point, but I’m going to try a recipe from The Joy of Pickling. I also invested in a Gartopf fermenting crock pot, since I hope to keep this tradition going in my family. 1) quarter the cabbage heads and shred thinly (thickness of quarter) with a chef’s knife. 2) Add 3 T salt and 1 T juniper berries and mix thoroughly with your hands. You can do this in the crock or in a bowl. Then pack the cabbage in the crock or in gallon jars. It’s important to use the right materials, so check online for proper containers. After it’s released some of the liquid, tamp it down firmly with your hands. 3) Weight it down so that it is contained in its own brine. The crock has it’s own weights, or you can use a food grade plastic bag filled with brine to cover it. You can also cover it with a plate weighted down. Some cover with cabbage leaves, so if the brine gets scummy you can replace them easily. Cover with towel or other cloth and store in cool place (~60 degrees F). 4) Check to see if it is covered in brine after 24 hours. If not, dissolve 1 1/2 T pickling salt in 1 quart water and pour as much as needed to cover. Check every few days to see if any scum has formed and remove if it has. 6) Once it’s ready you can store it in the fridge, freeze it or can it depending on what you want to do with it. I won’t be able to taste it this week, but hopefully it will turn out well! You are currently browsing the 02 learning pickling category at 52 To Do.